A true love for the Romania of today will cause someone to think of the Romania of tomorrow, and for its spiritual welfare. This is something we’ve been doing at Romanian Ministries now for several years, largely in the form of support for individuals whom the Lord seems to be leading towards Christian ministry. 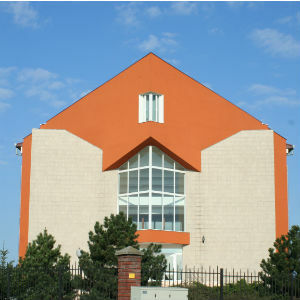 Central to this is Emmanuel Seminary, located on the outskirts of the city of Oradea. Theological tuition during the communist era often took place high up in the Romanian mountains in the open air, far away from the Securitate and prying eyes. Today, however, things have changed. The principal of Oradea Seminary, the much-respected Paul Negrut, directs studies in the elegant college buildings. Contrary to appearances, however, hardship is a regular feature of life for many of the students, and it’s been a privilege to be able to help some of them in their preparation for the Lord’s work. Denis is from Moldavia. This is in the far east of Romania, and known to be one of the poorest parts of the country. He came to study in Oradea from a sense of the Lord’s call to pastoral ministry, and, to that end, most weekends see him heading out to surrounding villages to engage in ministries of various sorts with a student team. Our attention was drawn to Denis through Damaris, Pastor Doru Decean’s daughter, who also studies in Oradea. She had noticed that Denis was working in the seminary canteen, which allowed him to obtain food free of charge during the week. His food provision during the weekends, however, was less assured due to his limited financial means. 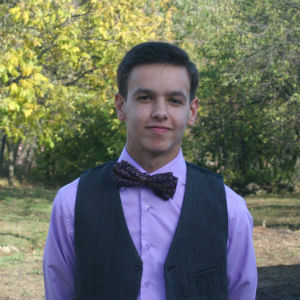 Strongly recommended to us by his professors as a student deserving of help, Romanian Ministries is offering Denis support with his course fees and also assistance with the purchase of books. 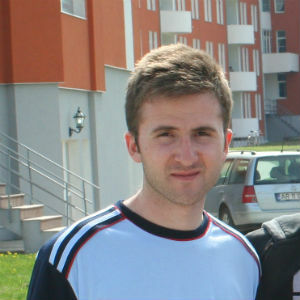 Lorand is a Hungarian-Romanian, and from a non-Christian family. His history underlines the suffering experienced by many in Romania, raised as he was by an alcoholic father and a paralysed mother. 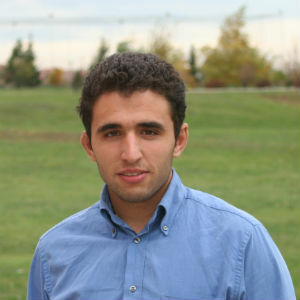 Converted in his teens, his intense commitment to the Lord led him to Oradea Seminary, where he is preparing for pastoral ministry. His intensity was manifest during our Spring 2013 visit, when he questioned the need for us to enjoy a relaxing afternoon at a local outdoor swimming pool. His commitment to the Lord, however, is very clear. Our attention was drawn to him in Autumn 2012 by seminary professors. Lorand’s father, newly converted, had fallen into financial difficulties as a result of a failed business venture. Lorand, out of a sense of family loyalty, felt obliged to withdraw from the college and find work in order to help the situation. Sharing his professor’s concern at this, we agreed to pay the relatively small amount his father owed, and have continued to make a contribution towards Lorand’s ongoing costs of study. 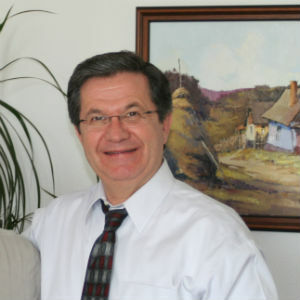 Lucian was specifically recommended to us by our good friend, Pastor Doru Decean. Known to Doru for several years and from a Roma family, Lucian had been a non-Christian whose expertise in politely declining Doru’s invitations to church had been second to none. As is so often the case with the Lord’s ways, such resistance preceded conversion and a desire on Lucian’s part to preach. This he did often in a very small fellowship in the village of Decea, a few miles from where Doru lives. A problem, however, occurred when it came to Lucian’s wish to attend a Bible seminary and train for the ministry. While a teenager, he had failed to complete his high school education, and this precluded his seminary training. In the providence of God, however, he has been able to resume his schooling on weekday evenings with the help of a sympathetic Christian boss. 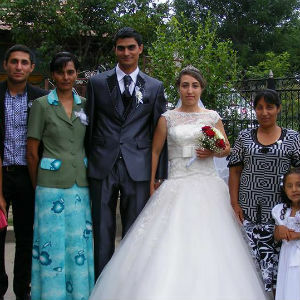 Romanian Ministries has been glad to help with the costs of this and, with Lucian recently married, seeks to encourage him in his call to Christian service. 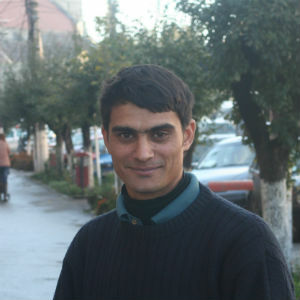 Matei is from Cornel’s home village of Draut, and, in a very literal sense, has been a preacher from his youth. A visitor from the UK might have been slightly startled to see a fourteen or fifteen year old boy leading a congregation, but so Matei did in his home church on several occasions when we visited in the past, and often expressed a wish to enter the ministry. Such precociousness has matured with the years, often through the experience of difficulties, and 2013 sees Matei as a student in Oradea Seminary. It’s been so good to see him wrestle with many of the real trials of life, and for the Lord to bring him through these as a stronger Christian. Already provided for when it comes to course fees through help from his parents, Romanian Ministries assists with some funding for books in twice yearly gifts. The outside of the seminary chapel, a separate building from the halls of residence shown at the top of the page. 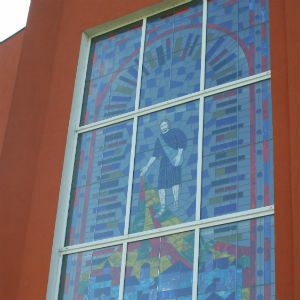 The beautiful stained glass window on the side of the Seminary Chapel building. Paid for by kind american donors, it portrays the scene from the gospel in which a catch of fish is made, indicating that seminarians are ultimately to become not simply great scholars, but fishers of men!